Spring cleaning a home may involve many harsh cleaners that will do the job but might affect your health. If you plan to deep clean your home this spring, here are some tips to do it in a greener and healthier way. Most people think of spring cleaning as an opportunity to spruce up their home, put away their winter gear, and get rid of things they no longer use. 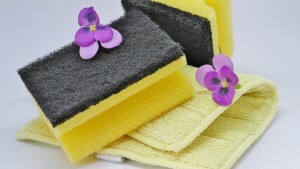 But spring cleaning is also an opportunity to improve your health by ridding your home of allergens and dust. However, some cleaners contain harsh chemicals that can irritate your skin, eyes, and lungs. Yes, you want to get rid of that mold in your bathroom, but you don’t want to end up feeling skin in the process. Daniel’s DKI has prepared this article to help you do your spring cleaning in a way that’s safer for your health and the environment. Spring is the perfect time to get your carpets professionally cleaned. Call a carpet cleaning expert like Daniels’ DKI to get rid of any fungi, mold, or bacteria that might have made a home in your carpet. If you want to change your room’s look, cleaning your carpet is a great way to do. Other than killing off bacteria a carpet cleaning session will leave your home smelling clean and your carpets looking like new. You can call Daniel's DKI at (760) 320-2128 to learn more about their carpet cleaning services. Many people choose to paint their home during spring. It’s an obvious way to spruce up a house. Unfortunately, wet pain releases potentially harmful VOC’s (volatile organic compounds) into the air. Most paint manufacturers have started reducing the amount of VOC’s in their paint formulas to follow federal standards. Even better, some paints claim to be completely VOC-free. If you plan on painting your home, choose a low-VOC or no-VOC color and make sure that the area you’re painting is well-ventilated. Painting and deep cleaning can be strenuous work, especially when it comes to moving furniture or reaching high places. You should take care of yourself above all. If the objects are too heavy for you to move, ask someone to help you out. Don’t hurt your back by using wrong lifting technique! If you’re going to be climbing a ladder, your belly button should never go beyond its sides. You also make sure there’s always someone around to spot you. There’s probably some expired or unnecessary medication in your medicine cabinet. There are plenty of drop-off places where you can leave them, including some local firehouses and police stations. When it comes to choosing your cleaning products, you should try to look for a product that’s more environmentally friendly. Pay close attention to the ingredients on the label. Don’t trust on labels that claim to be “natural,” which doesn’t necessarily mean it’s non-toxic. Instead, look for products that have been certified such as Certified Biodegradable, Green Guard, Green Seal, or Design for the Environment. There’s no need to resort to harsh chemicals to keep your home clean. There are plenty of recipes for homemade, eco-friendly cleaners with products you probably already have on hand. You can use some fresh lemon juice to clean your microwave. Fill up about ¼ cup with lemon juice and run the microwave for about a minute. The condensation that forms will help you wipe off most gunk, plus it will have a fresh lemony smell. For a greasy oven, you can make a mix of 1 cup baking soda and ¼ washing soda to make a paste. Scrub it all over your oven and leave it overnight to work its magic. Just clean it off next morning. You can wash your windows and other glass with a mix of white vinegar and water. Pour the mixture into a spray bottle, spritz it on your windows and wipe it off. Strange as it may seem, the EPA says that indoor air in homes, offices, and other buildings tends to be dirtier than the air outside. Let some fresh air in when you’re cleaning. Turn on some fans to help the air circulate. This also helps release some of the harmful chemicals in the cleaning products you might be using. If you plan on making some more significant changes to your home this spring, like building a new room or cutting down an old tree, Daniel’s DKI offers excellent home restoration services. You can call them at (760) 320-2128 to learn all about their carpet cleaning and restoration services in Indio.